What are the Differences Between Grade I and II Listed Buildings? Over our many years of service within the concrete repairs industry, we have expanded and grown Concrete Renovations into a full-service concrete repair and maintenance business, that holds a wealth of experience and expertise in a multitude of areas. One of the areas that we specialise in is the cleaning and maintenance of concrete, stone and masonry. The elements, wear and tear and vandalism are all reasons why our cleaning services are required to make buildings and structures as good as new. 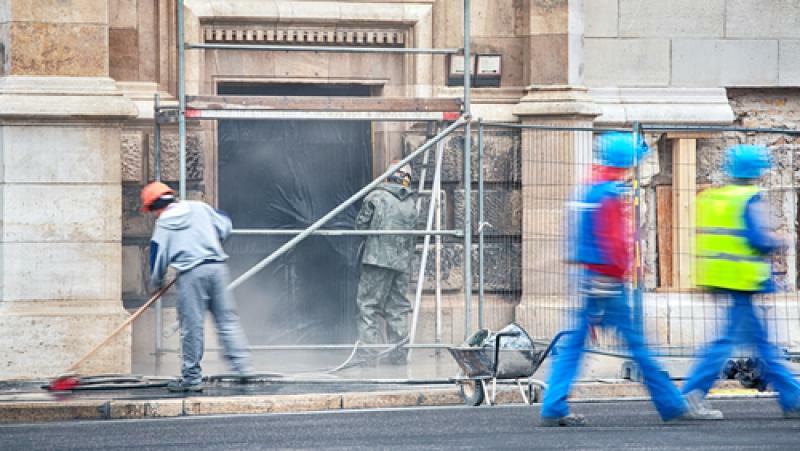 Here at Concrete Renovations, we use a number of cleaning techniques and methods including doff cleaning, the TORC system, Grit Blasting and much more. Doff Cleaning is a high-temperature steam cleaning process for use on concrete, stone and masonry. It is a very gentle technique, but with a variable pressure to ensure a full clean, each and every time. With temperatures reaching up to150°C, the steam produced is very effective at removing dirt, grime, oil, paint, algae, fungi and other biological matter. It is even able to kill off damaging spores that could otherwise cause a lot of destruction. Because the steam is a higher temperature than any power washers, minimal water is used which means the surface dries in just a few minutes, allowing any other work to continue as normal. The TORC System started life over 20 years as Jos and has evolved into one of the most effective complete stone cleaning systems. Creating a swirling vortex of water and inert fine granulate with air pressure; stone and other materials can be cleaned on both a small and large scale. The TORC system can be used for the safe removal of carbon sulphation, lime scale, bitumen, paint residue, and some oil and cement based paints, too. Grit blasting is a surface treatment process that works by channelling a variety of abrasive, coarse but fine particles at the surface using a high-pressure nozzle. The process is used to remove sand and scale and to prepare surfaces for additional repair treatments or methods. It is also used as a means of preparing stone and masonry for a paint job. Our cleaning services are comprehensive and varied, dependent on your needs. For more information on the services we provide, or to speak to someone about a project, please contact us on 01733 560362.